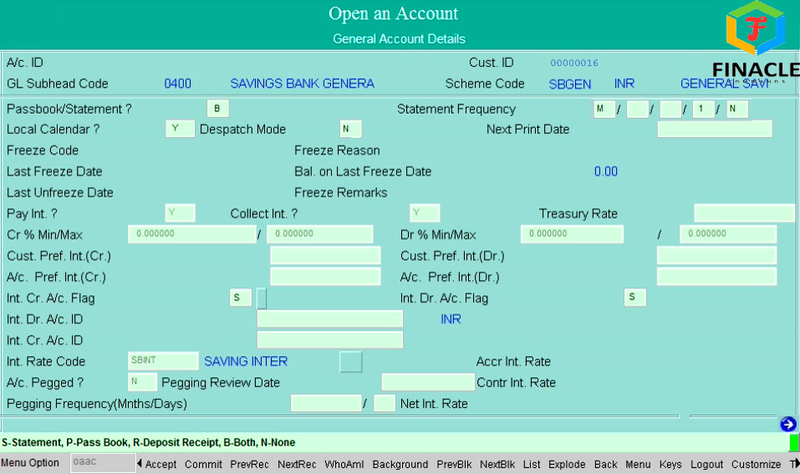 HOW TO OPEN AN ACCOUNT ( OAAC ) IN FINACLE. 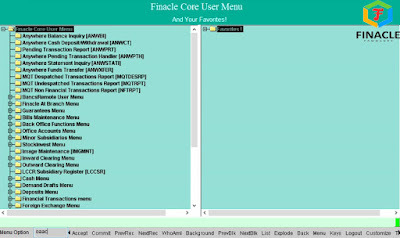 - FINACLE COMMANDS AND TUTORIALS. 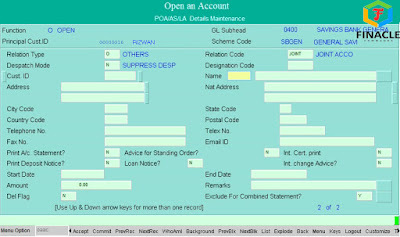 HOW TO OPEN AN ACCOUNT ( OAAC ) IN FINACLE. 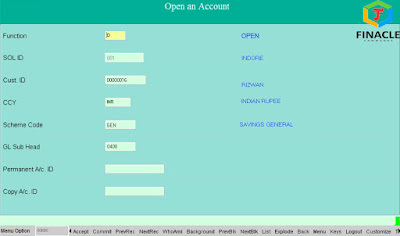 This command is used in finacle core banking software by which a Banker opens the account of a customer. 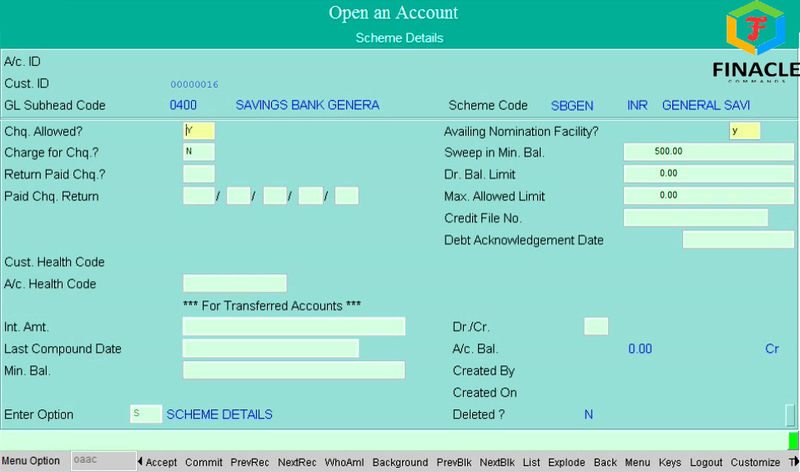 For every account opening the General & Scheme Details are mandatory. 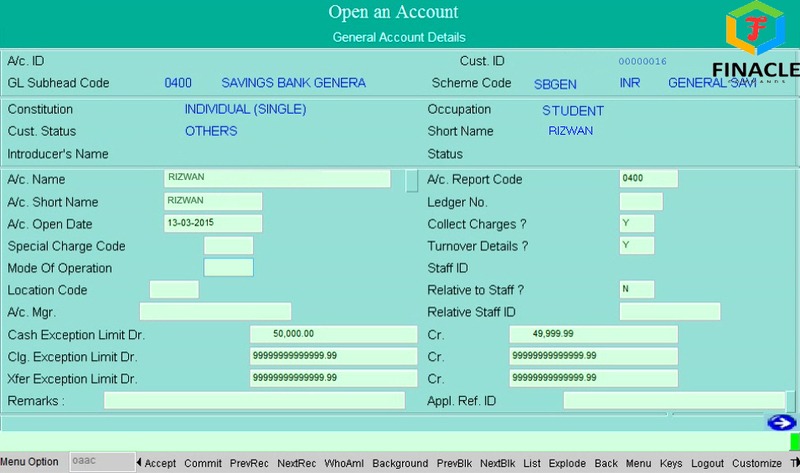 The above 3rd Screen of General Details will appear. 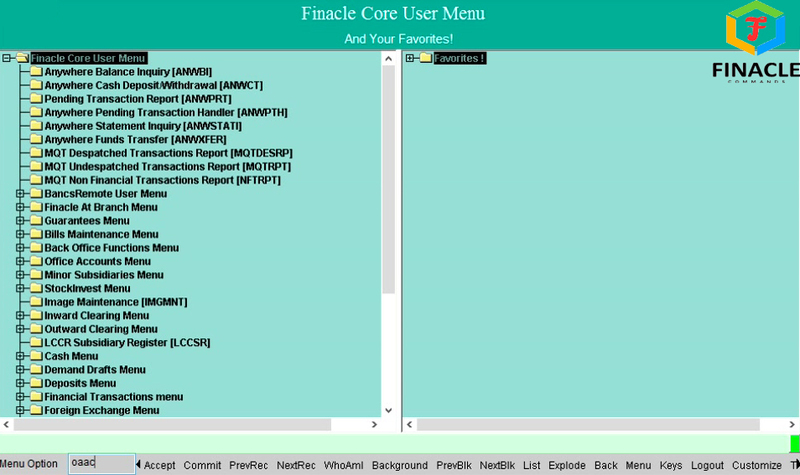 Press F10 for final commits. 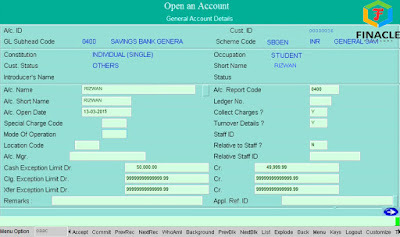 After pressing F10 the 15 Digits account number will be generated by the system. 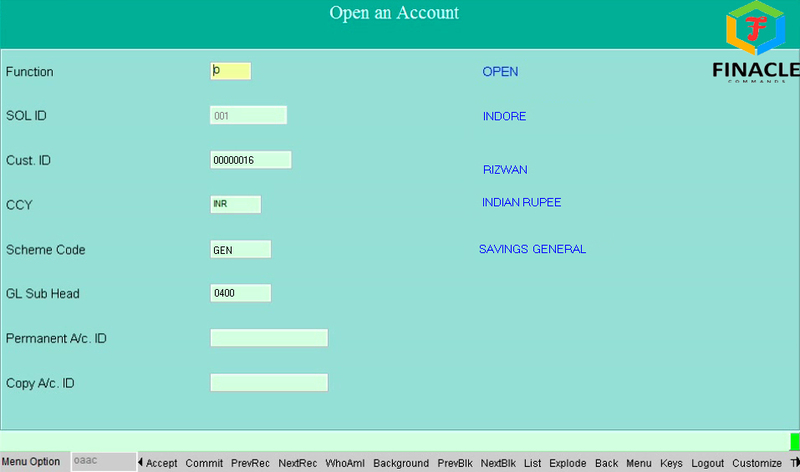 In case of a Joint Account add the Joint Account Holders through option ‘A’ i.e. 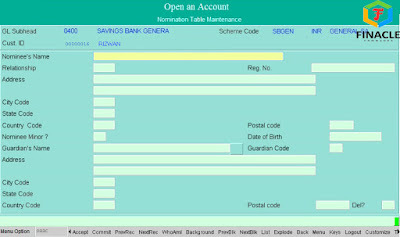 If you have entered Y in the field “Availing Nomination facility” then go to option ‘N’. Input details and Press F4 for accepting Nomination Details. 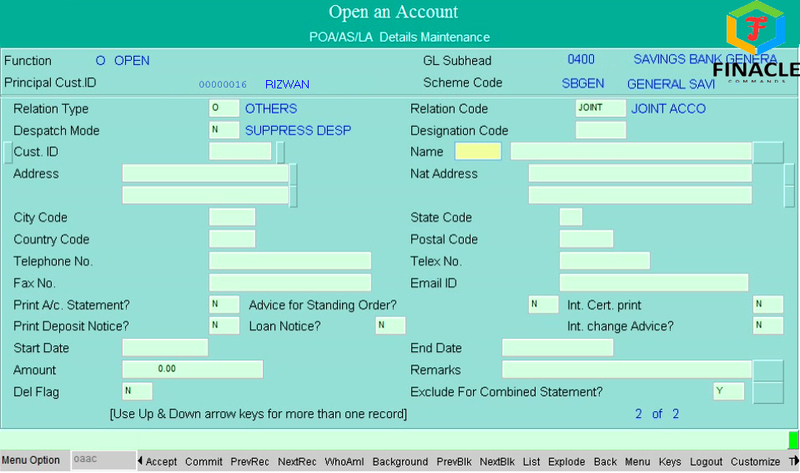 Other than General and Scheme Details for every additional detail you have to accept those details with F4 and then Press F10 for final commit. 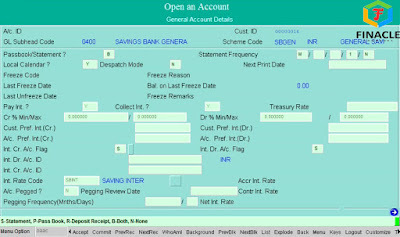 Verify details and Press F4. If the nomination has been given then - enter option ‘N’ and press F4. Verify the details and Press F4. 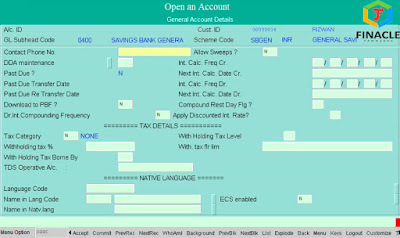 If account is Joint - Enter option ‘A’ and Press F4. Press F10 to commit. 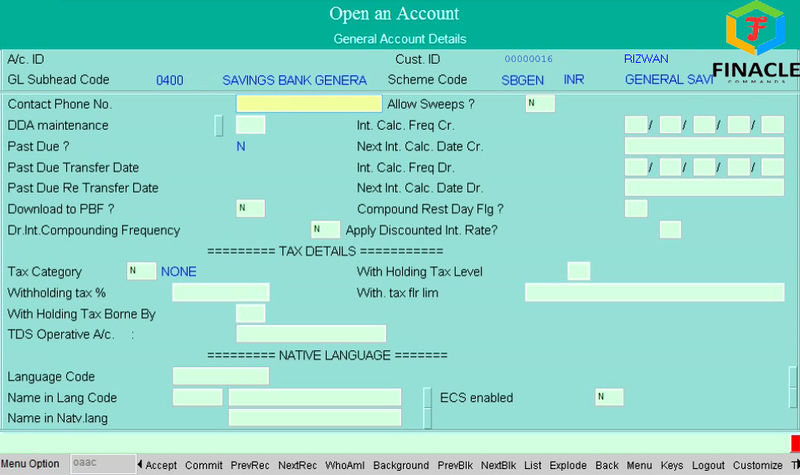 The a/c no will be displayed.